Water metals can show up in drinking water from any number of sources including water system service lines and plumbing for city/tap water customer and from well casing, plumbing and the environment itself for folks with well water. 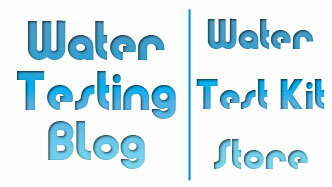 The Water Test Kit Store carries several products for testing metals in drinking water. General Metals Test – SenSafe Heavy Metals Check performs a general test for metals and will let you know if you have any of a number of dissolved metals present. It gives a reading of the total dissolved metals in a water sample. It does not, however, break down the reading by individual metal ion. WaterSafe Lead in Water Test – A pass/fail water test for dissolved lead in drinking water that yields positive results if a sample contains 15ppb or more dissolved lead. The test will read ‘negative’ for dissolved lead quantities under 15ppb. Boris’ Mercury Test – Simple test for dissolved mercury in drinking water that has a low detection level equal to the USEPA action level for public water systems (.002 ppm) and a high detection level of .08 ppm. Testing takes just 60 seconds to perform and requires no mixing of chemicals, crushing of tablets, etc. Regarding your request for an aluminum test, we do not know of an at-home drinking water test kit specifically designed to test for aluminum BUT we do know that the WaterCheck 1 & 2 mail-in testing package for 30 different water quality parameters contains a test for aluminum. Why Test for Lead in Drinking Water? 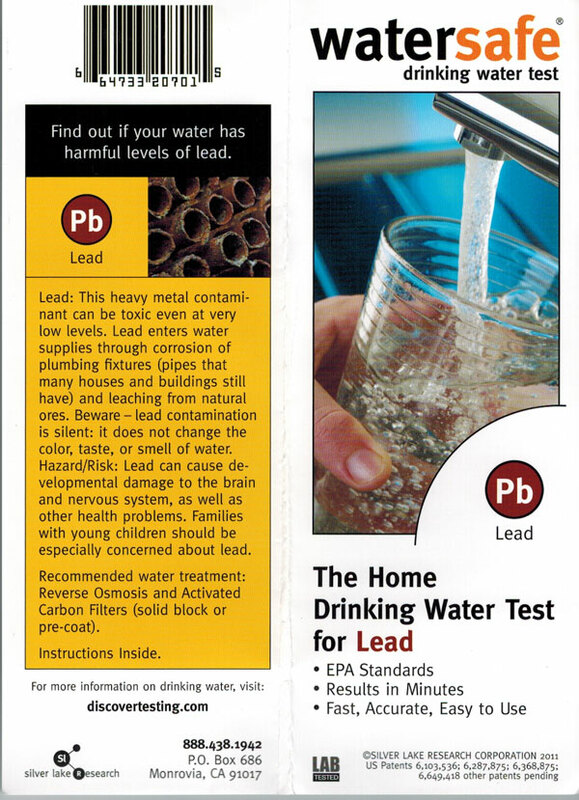 Home water test kits for lead? In recent news we have seen headlines about water systems patting themselves on the back because the quality of the water they distribute exceeds Federal Drinking Water Standards… according to recently published test results published in each system’s Annual Water Quality Report. To the untrained eye each ‘glowing’ report tells a wonderful water quality success story and most of the reports use pristine pictures of crisp, clean water flowing beautifully from a sparkling faucet to paint a picture of water quality perfection. We congratulate every water department that passed Federal muster and thank them for doing a fine job. We scold every water department that failed Federal muster. Please get your acts together and do a better job this year! In a good number of the reports we have looked through we found a rather ugly truth buried in the tables, charts, and pretty pictures: Yes, the water tested below Federal Guidelines for potentially hazardous metals like lead, chromium, etc. and disinfection byproducts (DBP’s), but detectable levels of those drinking water contaminants existed in the water. Health officials have stated for a long time that ANY amounts of toxic metals like lead in drinking water or chromium may cause serious health problems — especially in young children. Exposure to metals like lead may lead to lower IQ’s, developmental problems, behavioral issues, and impaired learning abilities. Oh, and one more thing: When last we checked, the medical community agrees that any concentration of lead in drinking water constitutes an unsafe concentration of lead in drinking water. Why are Federal Guideline concentrations higher than medically ‘safe’ concentrations? 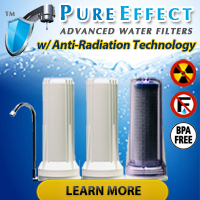 The United States Environmental Protection Agency set the maximum allowable contaminant concentration levels for most unwanted drinking water contaminants… a long time ago. In some cases the levels for some contaminants may have hit the books more than 50 years ago! One must also remember that regardless of the toxicity of a drinking water contaminant, the number of potential drinking water contaminants that the USEPA has to keep tabs on grows by leaps and bounds each year. We imagine that a case load of that magnitude would result in a standard operation procedure based on the following principle: Squeaky Wheel Gets the Oil. Contaminants making the news and/or waves in the health community probably get the bulk of attention, laboratory time, and financial resources while research and legislation on other, less newsworthy (but no less dangerous!) drinking water contaminants get put on the back burner. As with anything in life, you should take your local water department’s Annual Water Quality Report with a grain of salt. Read through the data and verify for yourself that when your water leaves the treatment facility it contains NONE of the drinking water contaminants that you hear about on the news or that you find in the EPA’s Primary Drinking Water Standards List — especially if you have small children in the house. When setting MCL’s (maximum contaminant levels) for drinking water contaminants, the weight of a person gets factored into the equation and health officials typically set MCL’s using the weight of an average sized adult, not a child.